In the years 1945-1963, Jean Dubuffet set about documenting his collection of Art Brut. He had the pieces photographed by recognised photographers on the Paris art scene, including Henry Bonhotal and Emile Savitry. But he also had pieces photographed that were not in his own collection, including works that interested him because, like Art Brut, they were marginal to the official art world. These notably include works of popular and naive art, children's drawings, tattoos, graffiti photographed by Brassai and graphic works from the Solomon Islands. 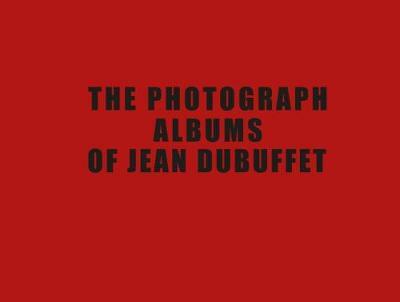 Dubuffet arranged these photographs of artworks by over a hundred artists - including Gaston Chaissac, Aloise Corbaz, Joseph Crepin, Auguste Forestier, Somuk and Adolf Woelfli as well as anonymous artists - in extraordinary sequences contained in 14 albums (755 pages in total). These have been preserved since 1976 in the archives of the Collection de l'Art Brut, Lausanne. Classified by artist, the images document paintings, drawings, embroideries, sculptures and collages. In assembling this image bank in the years 1945-1963, Dubuffet set up a dialogue between highly diverse forms of expression of his period, all of which flowered away from the more familiar terrains of art history and culture. This facsimile edition of the Photographic Albums of Jean Dubuffet is combined with a booklet of essays by specialists: preface by Sarah Lombardi, Director of the Collection de l'Art Brut and essays by Baptiste Brun, Nicolas Garnier, Karoline Lewandowska, Jean-Hubert Martin, Jerome Pierrat and Michel Thevoz. Text in English and French.